Contracts are vital to civil engineering projects being completed successfully. ICE has considerable expertise in the provision of contractual services to the construction service. Discover why we endorse the NEC family of contracts and find out more about our former Conditions of Contract. What is NEC and why do we endorse it? NEC is a family of contracts that help apply good project management principles and practices, and define legal relationships. NEC’s vision is to become the global leader in promoting best practice procurement of works, services and supply. The contracts are suitable for procuring a diverse range of works, services and supply, ranging from major framework projects through to minor works and the purchase of supplies and goods. NEC contracts have produced major benefits for national and international projects, in terms of time, cost savings and improved quality. The first NEC contract – known as the ‘New Engineering Contract’ – was published in 1993. It was a radical departure from existing building and engineering contracts, as it was written in plain language and designed to stimulate, rather than frustrate, good management. Its second edition, NEC2, was launched in 1995. NEC3 was launched in 2005 and helped to procure high-profile projects such as the London 2012 Olympic and Paralympic Games. In 2009, ICE's Council formally decided to solely endorse the NEC3 suite of contracts. This followed the launch of the NEC3 suite in 2005, which built on more than a decade of extensive international use of its predecessors. After 12 years, NEC introduced its fourth edition, NEC4, in 2017. 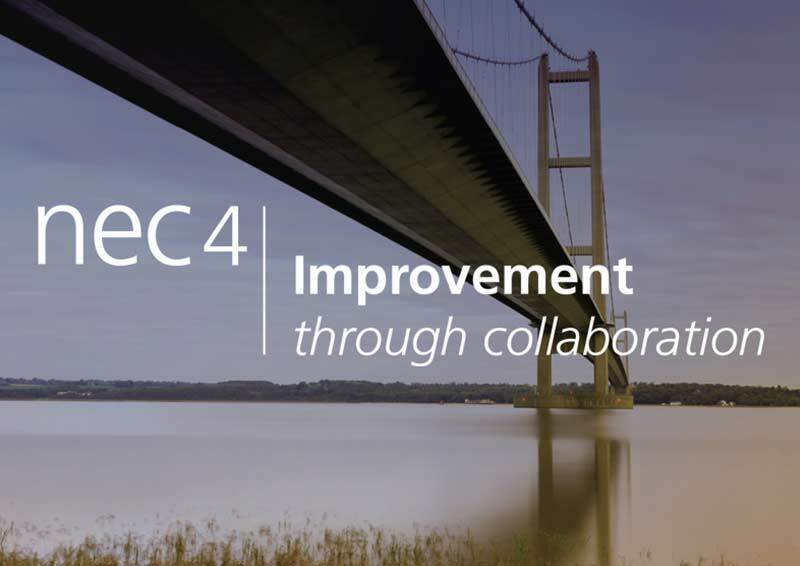 NEC4 contracts reflect procurement and project management developments and emerging best practice, with improvements in flexibility, clarity and the ease of administration. NEC4 is an evolution on the successful NEC3. NEC4 contracts keep on using plain English and present tense to facilitate the celebration of contracts across the world. NEC3 contracts have become public sector contracts of choice in the UK. They're used for nearly all projects procured by national and local government bodies and agencies. The Hong Kong government has also mandated that all projects put out for tender in 2015 will use NEC3 contracts. Following ICE's formal endorsement of NEC3 contracts, its council made the decision to withdraw from the ICE Conditions of Contract (CoC). ICE transferred its part ownership of this contract to the Association for Consultancy and Engineering (ACE) and the Civil Engineering Contractors Association (CECA). ICE is no longer involved in administering this form of contract. If you've previously used the ICE Conditions of Contract or are looking for information, we've put together a list of answers the most commonly asked questions. For further information you should contact either CECA or ACE directly. Can I still obtain a copy of the ICE Conditions of Contract? ICE, ACE and CECA all hold reference copies of the last published version of the ICE Conditions of Contract. It is not possible to purchase a copy. My client wishes to use ICE Conditions of Contract. What are my options? We suggest that you advise your client that the Conditions of Contract are no longer published, and that they should consider using an NEC3 contract. Will ICE still nominate adjudicators and arbitrators on an ICE Condition of Contract? Yes. Our Dispute Resolution Service will continue to provide this service. Can I contact ICE respond with questions about the contract? No. We're unable to provide direct advice or guidance. Our library service can direct you to published guidance. Have an interest in procurement? If you're involved in infrastructure procurement, or interested in learning more, ICE provides a range of services and knowledge. Discover how our free case studies and best practice examples, industry leading events and dispute services, can help.